September was a grueling month. Our euphoria from attending the convention in Boston and meeting other Assyrian activists similarly celebrating their successes came to an abrupt end almost as soon as our planes landed in Washington, Sydney, Sodertalje, & Baghdad. At the Assyrian American National Convention the air was charged with thunder. There were signs that the present opportunity to start a cultural revolution among Assyrians was close at hand. 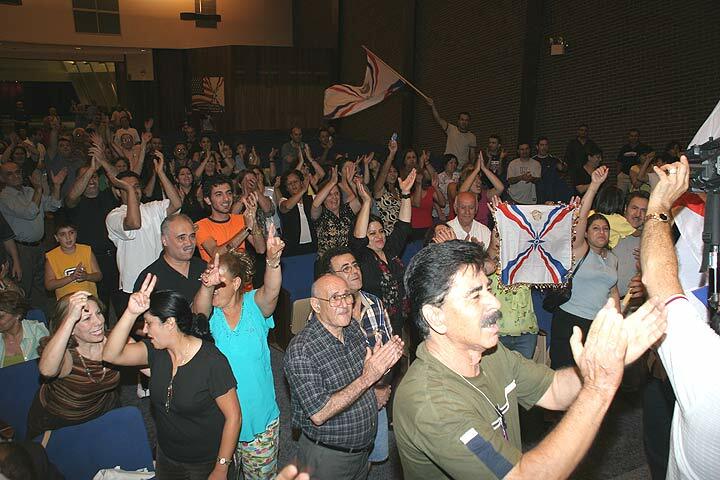 There were new films, books, activists, journalists, and ideas all pointing to a new era in Assyrian nationalism. Yet we overlooked in those early days of September the fact that our enemies had reached the same conclusion even sooner. A phone call at night woke me up from my much needed sleep as I was still recovering from the sleepless days in Boston: “Boss, we have a problem. Someone’s attacked our servers and we had to shut them down.” Zinda servers are almost daily assaulted by common hackers looking for any victim in cyberspace. But this time the invaders appeared to be targeting Zinda alone. Back in Washington we had begun preparing a series of articles about the referendum on the permanent constitution of Iraq on October 15th and the Iraqi elections in December. As with most Assyrian activists and political parties we rejected the draft constitution which we termed the Permanent Constitution of Kurdistan. Meetings were held with the USAID officials in Detroit organized by the progressive Chaldean block within the pro-unity front. Others met with the Kurdish leadership including Talabani himself and later his aides in Washington. It was becoming very clear to the U.S. government and Kurdish officials that Assyrians were serious about their demands for equal share of power and proceeds in Iraq. The technical explanation for the attack on Zinda servers was best described to me by our Zinda techies as a “targeted malicious assault”. While our team in California was testing every piece of hardware, a couple of us were contacting other possible targets around the world. I had no doubt that the anti-unity groups inside and outside the Assyrian spectrum were behind the attack. At the time when Assyrians require nearly every resource to tackle the problems in Iraq and elsewhere, there remain a small but noisy faction which prefers cultural isolation over political victory. In their view, the Assyrians in Iraq – no matter how small in number – can succeed in preserving the historic identity of the people of Ashur. Hence, they oppose any collusion at the political level with other Syriac-speaking groups that requires a compromise on the political designation of the Assyrian people – as Assyrians only – in the permanent constitution of Iraq. 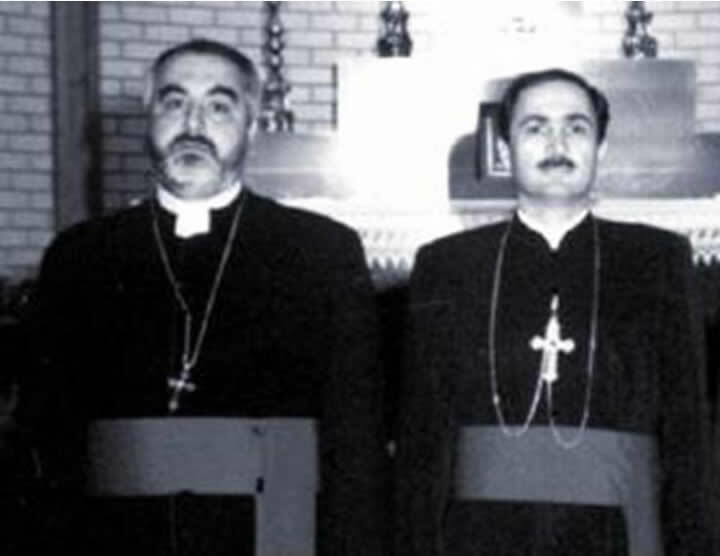 Zinda Magazine was informed early on that the two Assyrian patriarchs – His Holiness Mar Dinkha IV and Mar Emmanuel Delly – had secretly agreed in Chicago to indirectly force the demise of the pro-unity front in the U.S. and in Baghdad. Our sources in Iraq informed us that a delegation of Iraqi officials in Vatican soon after this meeting was told by the Pope that the Christians of Iraq were to be placed in separate groupings as “Assyrians AND Chaldeans AND Syriacs” in the permanent Constitution. Obviously, a stronger political front for Assyrians means a twisty access to power for the patriarchs who still cherish the golden days of the Ottoman millet system and Baathist regime, whereby they guided the people as both spiritual and temporal leaders. 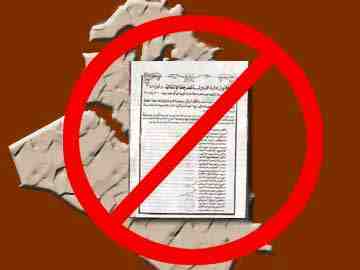 A petition had already been circulating among the Assyrian churches and even the family gatherings. The target of this assault was the pro-unity voice of the bishop of the Church of the East residing in San Jose, California. The ‘anti’ faction was not losing any momentum here. All effectual voices of pro-unity had to be silenced, they thought. In Boston I attended the banquet dinner and walked out of Bishop Mar Bawai’s Soro’s speech for unity. I had already warned the chairman of the convention that I intended to do this. Nothing against the bishop himself, I was protesting the choice of a religious figure instead of a civic or political person in these most dire hours. The president of the Assyrian American National Federation and his assistant had failed to respond to my pleas to invite Andrew Natsios, the administrator of the USAID in Washington who oversees the allocation of billions of dollars in aid to Iraq and other Middle Eastern countries. His office had agreed to the invitation, but no official invitation was ever sent from the AANF office in Chicago. One week after the Boston gathering Mr. Andrew Natsios and Mr. Walid Maalouf appeared at a meeting in Detroit, organized by the Chaldean Chamber of Commerce, to discuss reconstruction projects in Iraq. Back in Washington I obtained a copy of Mar Bawai’s speech and asked that it be inserted in the next issue of Zinda Magazine. Regardless of my personal opinion of the AANF’s mishandling of the situation, His Grace’s important message had to be communicated. After all Mar Bawai was the first victim of the anti-unity forces as the petition to remove him from his position in the Church of the East was still circulating in cyberspace. “Oh my God, Wilfred…it was horrible. They were attacking the Assyrians and I would have not believed it unless I had seen it with my own eyes. I was there and it was horrible”. This was Nuri Kino, the famed Assyrian journalist in Sweden who awed all of us in Boston. He was calling me from Sodertalje. A week earlier back in Boston, America was not yet ready for Nuri, but Nuri did not care. And we loved it. But now back in Sweden he and thousands of other Assyrians were confronting a serious dilemma. The Swedish authorities were attacking the Assyrians living in the poorer quarters of Sodertalje. I had earlier expressed my concern to Nuri in Boston: “Be careful Nuri, you guys in Sweden are way ahead of us. Both politically and in sports the Assyrians in Sweden had made significant strides. With his uncommon sense of humor he pointed to a wristband he had purchased at the convention: “this will keep the evil eyes away from me. You should buy one too.” It turned out that the evil awaited him and thousands others in Sweden. In Washington the hope of any changes to the language of the constitution was quickly eroding. We were to be divided into three separate populations; the Kurds were winning and so were the patriarchs and the comic Disc Jockey in Modesto. In July Mar Dinkha IV had paid a visit to his closest ally, Bishop Mar Meelis Zaia. A couple of months earlier he had traveled to Iran, non-stop flying over the bombed churches in Baghdad and the Assyrian refugee camps in Jordan and Syria. The meeting in Sydney proceeded the closed-door meeting with Mar Delly in Chicago. In between the two meetings His Holiness had attended a couple of dinners during which he had assured his audiences that the Church would not meddle in the politics of the Assyrian nation. The next series of events left no doubt in our minds at Zinda Magazine that the wave of misfortunes experienced by the Assyrians around the world and the attacks from all corners were orchestrated by a much more intelligent adversity and promulgated by internal foes behind the anti-unity faction and within the Assyrian churches and the media. As the confrontations in Sodertalje were heating up, in Sydney Mar Meelis Zaia was rejoicing in the decision of an Australian court in a case between His Grace and a Zinda Magazine reporter and an active member of the Assyrian Aid Society in Australia – Mr. David Chibo. Mar Meelis had reportedly sued Mr. Chibo for AUS$200,000.00 for damages. I already knew by then that the news of the Zinda investigative report which was to be published in early September had already leaked out in Australia. The bishop was attempting to discredit a Zinda reporter whose article in January 2005 had infuriated the church-goers in Australia and New Zealand against their bishop. Another direct hit could cost His Grace his job and this time he was not taking any chances. The challenge to discredit Zinda Magazine before the publication of the “Mar Meelis Article” was now in the hands of another Assyrian media. Sargon Dadesho was claiming that he had in his possession transcripts of the email correspondences between Mr. David Chibo and I – before the publication of the article in which Mr. Chibo brilliantly describes the rise and fall of Mr. Karl Suleman and the involvement of a few others – including Mar Meelis Zaia. The article was published in January. 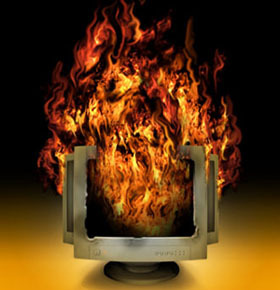 We were confident that none of the Zinda servers were penetrated and no information had been obtained from our end. Then, how was it possible that Sargon Dadesho could make such a ludicrous claim? Upon closer examination of the information read over his television shows it became clear that the notes were fabricated in an effort to discredit Zinda Magazine, myself, and Mr. Chibo. He even interviewed Mar Meelis Zaia during the same week – a move that directly linked the two persons in the mind of many viewers. On September 22nd six Assyrian guards in Baghdad were attacked. Four of them were killed and two wounded. The attackers’ target was Ms. Pascale Esho Warda, the former Iraqi minister of Displacement and Emigration. A member of the Assyrian Democratic Movement, Ms. Esho Warda is a strong voice of unity in defense of the Assyrian rights and the rights of the Iraqi women. She was not in the car during the attack and was not harmed. Only two days after the publication of the last editorial a second attack on Zinda servers once again temporarily paralyzed us in Washington and California. The pattern was very similar to the first attack; we were prepared and so were the enforcement authorities who had been informed of possible future attacks. The source of the attack could now be traced and identified. Most of us are incensed at the bloody murders in Baghdad, the attacks in Sweden, the harassment of Zinda Magazine and its crew, and the assaults on the vocal pro-unity individuals. First, we must realize that these attacks are orchestrated and instigated by groups more sophisticated than the clumsy video operators in a decrepit studio in Modesto. The planners know who to attack, where and when to hit the places and people that will hurt the most. Interestingly while our technical team was working on rejuvenating our website, a religious group was promoting its new homepage. They call themselves the “Nasrani Church of The East” or “The Orthodox Nestorian Christians”. The group is well funded by Israeli sources and differentiates itself from the Assyrian Church of the East. 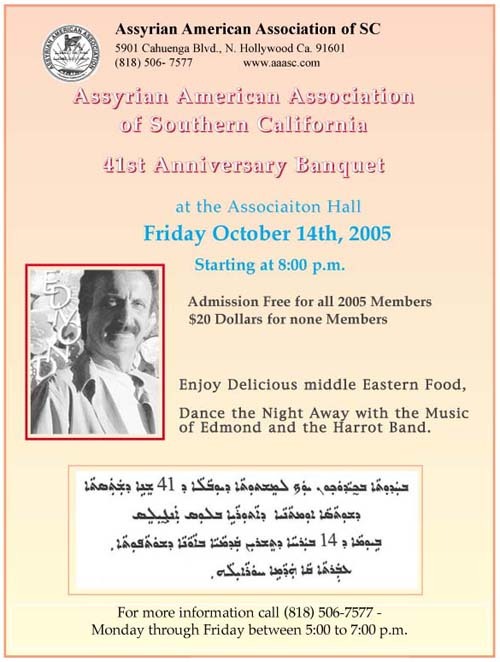 To further erode the existence of the Assyrians there are now websites that promote a new identity – the Kurdish Jews for example (click here). The strong tie between the government of Israel and the Kurds in Iraq is nothing new. What threatens this bind is the existence of a very voluble Christian group in north Iraq demanding an administrative region. The confluence of a strong Assyrian-Chaldean-Syriac front, combined with that of the Turkeman, Yezidi, and Shabak political fronts will have a significant impact on the growing Israeli-Kurdish plans for a strong and separate nation-state of Kurdistan tucked between Turkey and what will be left of Iraq. The Jewish and Kurdish planners have no option but to thwart any pro-unity efforts. What is to become of Zinda? This publication is enthusiastically devoted to objectively covering the affairs of the Assyrian nation. In our opinion every opinion is important and must be heard. We also believe that there are many readers working with what we call the anti-unity forces that genuinely wish to bring greater recognition and a resolute political salvation to the Assyrian people everywhere. Their voices must also be heard. In Zinda Magazine our readers can always find a voice of impartiality and unyielding desire for the betterment of the conditions for Assyrians around the world. However, we will continue to hold every civic, religious, and political leader accountable for their actions - more committal than before. This is what our readers expect of us and what we expect of ourselves. After all no patriarch, bishop, secretary general, comrade, or activist comes before the general will of the Assyrian people. Today the public opinion is most disturbed and demands reparation. It insists that our leaders take a series of steps which shall break this chain of revolting actions against us. Unlike Mr. Dadesho we will not degenerate into fabricating information to discredit others, instead we will present information supported by facts to instigate action against certain ‘anti’ forces. We begin this week with the article our readers in Australia have been eagerly waiting for. We present the information and leave it up to our good readers to take the necessary action to demand justice – firmly and fearlessly. Many have been and continue to be injured in the war between the anti or pro-unity fronts. Some were even killed last month. But I take a very special notice of one person who has sacrificed so much before the highest hierarchies of intimidation in his church and community. He is currently the target of repulsive attacks from a bishop and his entourage in Australia. An attack on a member of the Zinda Crew is an attack on Zinda Magazine. Let it be known that Zinda Magazine stands behind its reporter and news analyst – Mr. David Chibo – our hero in Australia. David, on behalf of all of us at Zinda Magazine and every Assyrian battling our internal and external foes I dedicate this week’s investigative report to your determination and valor for standing up for what is right. October, we expect, is not going to be any easier. But this time we are prepared to fight back. And fight we shall. Formal promises of poverty, celibate chastity, and obedience made by members of religious communities are called vows. The vow of poverty means that members hold all things in common. The community takes care of their needs. The vow of celibate chastity means that a person promises not to get married or have sexual relations. Obedience means searching for and seeking to accomplish God's will in the context of the Scripture, the Church, and the community. Upon being consecrated as Bishop of the Assyrian Church of the East, at St. George (Mar Gewargis) Church on 22 October 1984, Joseph Meelis Zaia put his hand on the Holy Bible and swore to adhere to God given laws and these very same vows. In Zinda’s January 13, 2005 issue an investigative article titled, ‘The Hood, the Bad & the Holy,’ revealed the full details of how over 2,000 Assyrian investors were misled and deceived by Karl Suleman into losing their lifelong savings and assets, with the assistance of Suzy David and Bishop Mar Meelis Joseph Zaia. Since then convicted criminal Karl Suleman has finished serving his 18 month prison sentence only to be charged with new charges that have arisen as a result of the ongoing Australian Security Investment Commission (ASIC) investigation, in relation to the failed KSE scheme. Former Deputy Secretary General, Suzy David, ignominiously left the AUA for her part in the illegal Ponzi scheme. Mr Suleman in currently on bail and is apparently trying to get Legal Aid assistance to defend 15 counts of making false statements as well as 17 counts of using false documents. Meanwhile after being removed from her position as Secretary Deputy General of the Assyrian Universal Alliance (AUA), Suzy David and her brother Fred David are currently in the New South Wales Supreme Court facing claims for professional negligence for their affairs and dealings in the illegal Karl Suleman Enterprizes (KSE) scheme. In this article we turn our attention to Bishop Joseph Mar Meelis Zaia. The infamous Froggy Holdings was one of the companies used to raise money from unsuspecting Assyrian investors. The first source document, taken from the Australian Securities & Investments Commission’s (ASIC) titled ‘Historical Personal Extract’ is for [Mar Meelis] Joseph Zaia. Let’s ignore the fact that the search also shows that Jospeh Zaia was previously a director of GTZ Trading Pty. Ltd, having 9000 shares to his name and used the Assyrian Church of the East’s residence (Bishopric) as his company address, contrary to Church by-laws; it is the second page of this official document which proves beyond a shadow of doubt that Bishop Mar Meelis Zaia owned 5% of shares in Froggy Holdings. 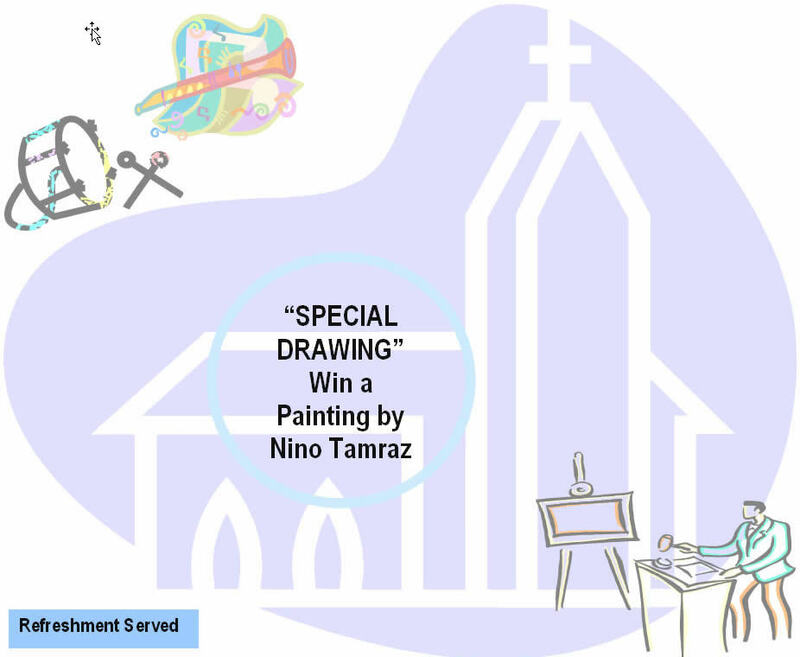 Subsequent media interviews with Mar Meelis Zaia later explained this away by claiming that because the St. Hurmizd Assyrian Primary School was not registered at the time, Mr. Suleman had registered the donated shares in the name of the Bishop in trust for the school. However considering that the Assyrian Church of the East was fully registered religious institution in Australia it is in this writer’s opinion , illogical to claim that the 5% of shares allocated to Mar Meelis Zaia were being held in trust for the school when they could have easily been registered in the Church’s name. Furthermore, as a result of the memorable split of the church of the East in Sydney, instigated by Bishop Mar Meelis Zaia in the late 1980’s, the NSW Parliament introduced legislation which would establish a structure whereby the Church of the East could acquire a hold properties and assets in its name as trustee. Furthermore, current ASIC extracts reveal that Bishop Mar Meelis Zaia is still the beneficiary of 5% in Froggy Holdings Pty Ltd. This situation begs the question, if indeed as the Bishop claims that these shares where held in trust for the Assyrian School why is he still the sole beneficiary of these shares? If the Bishop’s claims were indeed correct and the Assyrian School was registered as a Public Company on 21 February, 2002 - one would imagine that the Bishop would have had ample opportunity, between 2002 and now to transfer these shares to the benefit of the Assyrian School. Fact 2: Mar Meelis Zaia received a company car from KSE given only to KSE architects and agents of the scheme. In a testimony given by the car dealer, Mr. Damelian, of Rick Damelian Sydney, the court was shown just how generously Karl Suleman rewarded some of his architects and agents. Luxury vehicles were leased for Karl and Vivian Suleman, Roger Hyde, Graeme Sinden, Sam Babanour, Bishop [Mar Meelis] Zaia and Jessie and Romil Koshaba’s wife, Elizabeth George. The New South Wales Supreme court revealed this startling list during court examinations. Besides showing that Joseph Zaia received a luxury car from KSE, it also clearly shows that Rick Damelian leased cars specifically to KSE agents and architects who, knowingly or unknowingly, implemented the Ponzi scheme. Bishop Mar Meelis Zaia received a BMW 2000 model which he reluctantly returned to the liquidators after the collapse of KSE. Fact 3: Mar Meelis Zaia openly associated with the architects of the KSE scheme. In addition to Bishop Mar Meelis Zaia being seen in the company of Karl Suleman, Joseph Zaia was also openly associating with the other architects involved in the KSE scheme. 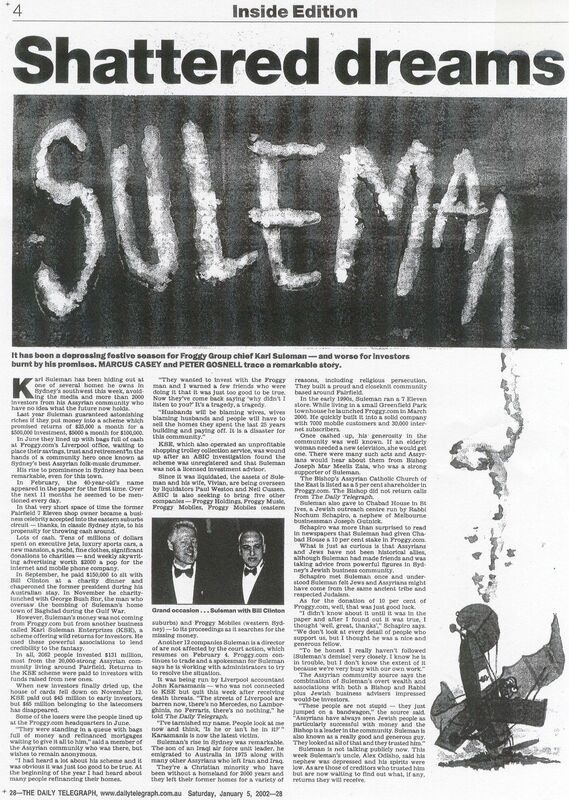 The Karl Suleman phenomenon reached its zenith during the dinner for the former President of the United States, Bill Clinton in September, 2001 before it collapsed. Some of the diners seated at Suleman's table at the Westmead benefit included Rabbi Pincus Woolstone, Nati Stoliar, Suzy David, and the Bishop of the Assyrian Church of the East, Bishop Mar Meelis Zaia. Fact 4: Mar Meelis Zaia actively promoted Karl Suleman and his “businesses” in the Assyrian Church of the East. Besides Bishop Zaia being a 5 per cent shareholder in Suleman's Froggy Holdings he was also known as a warm supporter of Suleman's enterprises and efforts to support the Assyrian community. Fact 5: Fr. Ashur Lazar of the Assyrian Church of the East was a KSE agent. Former KSE agent, Fr. Ashur Lazar, left, also followed in the footsteps of his Bishop. A priest from the Assyrian Church of the East, Fr. 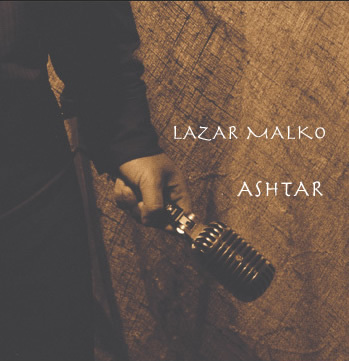 Ashur Lazar also got involved, personally investing and actively promoting the scheme as an agent, as well as, showing unwavering public support for Karl Suleman. The greed was palpable and he was even rumoured to promote the scheme at church functions he presided over, including funerals! “I noticed that even the priests’ brothers were involved and they were making good money,” said Eddie David after borrowing $150,000 to invest in the scheme. Fact 6: Mar Meelis Zaia used his brother’s name, David Zaia, to financially benefit from the KSE Ponzi scheme. To understand the intricate background of how Mar Meelis Joseph Zaia used his brother’s name to purchase property we need to chronologically study a whole series of property transactions to ascertain the true picture of this fact. Bishop Mar Meelis Zaia appointed Director of GTZ Trading Pty Ltd, having a total of 9,000 shares. The registered business address of his company was the Assyrian Church of the East owned Bishopric located in 25 Edinburgh Circuit, Cecil Hills, Sydney. This residence is owned by the Assyrian Church of the East and therefore the Bishop used this for his personal and business purposes contrary to church by-laws; conducting personal business from church owned property . Joseph Meelis Zaia and Eva Robin George purchase a property in Cecil Hills, Sydney for the sum price of $157,000; Eva Robin George being a known divorcee of the singer Raa’d Zaia. A close analysis of the transfer document (obtained from the extracts of the Department of Lands – Land & Property Information) of this purchase between Bishop Mar Meelis Zaia and Eva Robin George reveals that the Bishop and Eva owned the property as Joint Tenants. This means that upon the death of one joint-owner, that owner’s share or interest in the property will automatically be transferred to the surviving owner. A Joint Tenant agreement is the usual way that married couples and those in de facto relationships acquire property. Three months later Bishop Joseph Meelis Zaia personally purchases another property in Cecil Hills denoted by the title reference 86/879086 for the sum of $165,000. Cecil Hills is now a highly developed area with soaring property prices. 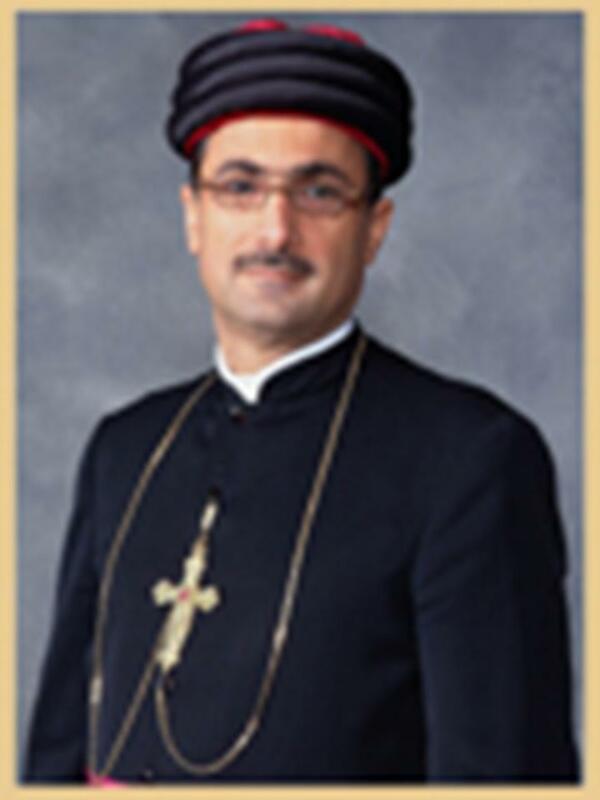 Bishop Mar Meelis Zaia is approached by prominent members of the Assyrian community in Sydney, notably, Anwar Khoshaba, Dinkha Warda, Phillimon Darmo amongst others, raising serious concerns with the Bishop that he is known to be having relations with a known divorcee, namely, Eva Robin George. He adamantly denies this claiming that he simply bought the property to assist her as a friend. If as Mar Meelis Zaia claims he was assisting her then he could’ve easily arranged for a ‘Tenants in Common’ agreement also acceptable under Australian law. Having been exposed co-owning property with Eva Robin George; Bishop Mar Meelis Zaia undertakes steps to distance his name from the shameful transaction. Bishop Mar Meelis Zaia does this by transferring his share in the Cecil Hills property to Eva Robin George as sole owner, for the nominal amount of $1.00 (worth by current market trends at least $450,000) – denoting the serious standing of their relationship. Current property searches reveal that Eva Robin George is still the proprietor of the property. Learning from his past mistakes and in an effort to hide his property dealings Bishop Mar Meelis Joseph Zaia, decided it was prudent to transfer his other Cecil Hills Property which he owned solely to the name of his brother, David T. Zaia, who resides in California, USA – in order to whitewash his dealings. The transfer is legally signed by David T. Zaia on 1 October, 1999 and notarised by an American Justice Notary Public, who has signed and stamped it with his official stamp. The infamous Froggy Holdings Pty. Ltd. is registered in Australia. 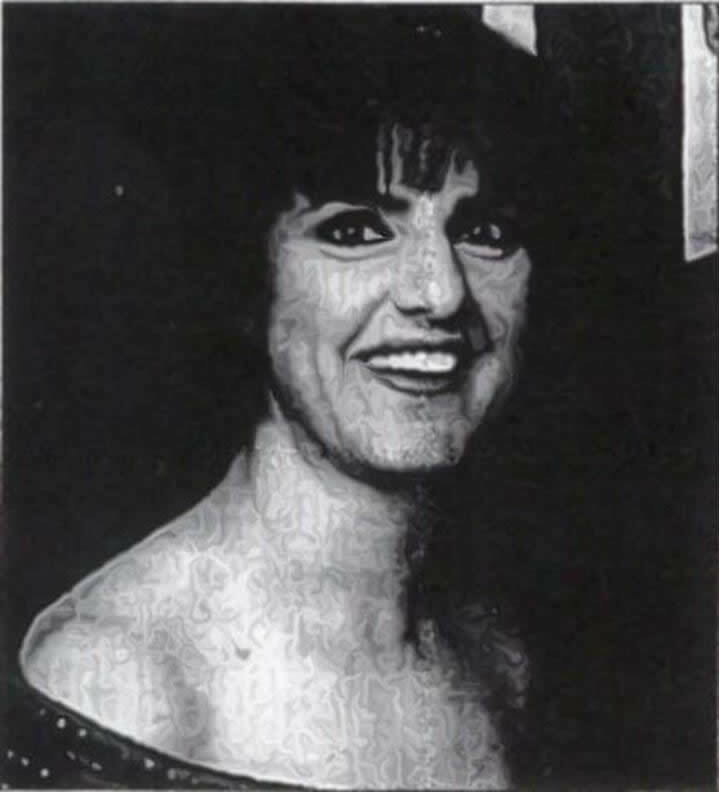 Karl Suleman, first makes his appearance on the scene, and with the help of Suzy David begins to initiate the KSE Ponzi scheme on the unsuspecting Assyrian community in Sydney. Bishop Mar Meelis Zaia (aka David Zaia) transfers the property, owned by his brother, David T. Zaia, who resides in California to Karl Suleman Enterprizes (KSE) for the sum of $240,000. All this was apparently witnessed by another of the KSE architects and solicitor, Fred David of Dominic David Stamfords (now David Legal), while his wife, Sabrina Jajoo, acted for the transferee being Karl Suleman Enterprizes. We note however that the signatures on the transfer of the previous transaction and this current transaction, of David T. Zaia, are not identical. Would the real David T. Zaia please step forward? The signature witnessed by Fred David is not that of the legitimate proprietor, namely, David T. Zaia, as the composition of both signatures is starkly different. a. This current transaction is signed David Zaia without his middle initial. c. Professional hand writing experts have examined both signatures and are adamant that they have not been written by the same person. These discrepancies raise serious questions as to the authenticity of this transaction. In fact it is believed that David T. Zaia’s signature has been forged and this begs the questions of who actually signed this document, and is the Bishop in full collusion as to this possibly fraudulent transaction involving David T. Zaia’s so-called signature, which has apparently been witnessed by Fred David? Besides the glaring forgery the third page of this property title transfer is of extreme interest to the reader for another more important reason. The third page shows how this very same property, which was then sold at $240,000, was later transferred from Bishop Mar Meelis’s brother, David Zaia, to KSE and used to provide the initial “seed money” for the Ponzi scheme by way of an investment contract. 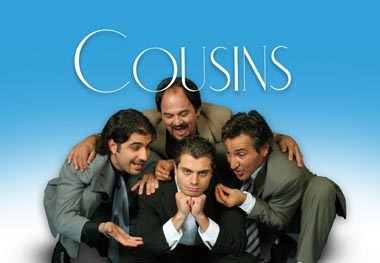 According to the Coudert Brothers - legal advisors for liquidators Horwath - the October 3, 2001 transaction had given Bishop Mar Meelis Zaia, through his brother David Zaia, a significant return on his investment. The money began rolling in. 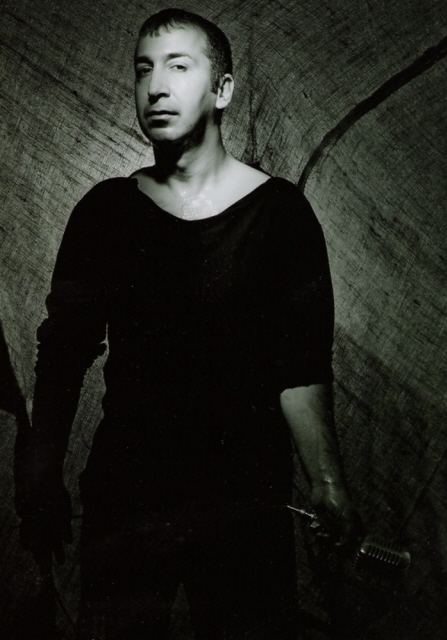 From October 2000 to June 2001, David Zaia was entitled to receive about $90,000 worth of payments under the investment contract. In June 2001, a new agreement was struck whereby Karl Suleman said he would draw a new contract for $450,000. David Zaia began receiving money as repayments under the new contract but no contract was ever drawn up. 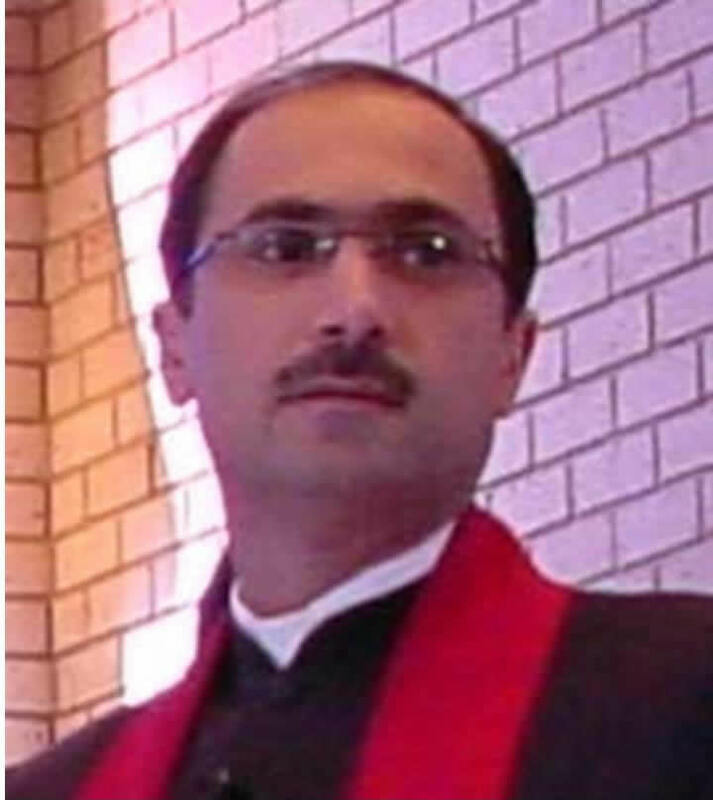 The total amount of receipts was in the order of $62,000 up to $64,000 paid by Karl Suleman between August 2001 to October 2001; Bishop Mar Meelis Zaia received, on behalf of David Zaia, roughly $9,000 cash cheques per fortnight, which amounted to $18,000 per month. Samuel David (the Bishop's uncle) would apparently cash the cheques and the Bishop would take the cash to Westpac Bank for transfer to an account in the United States in the name of David Zaia (aka Mar Meelis Zaia) . Bishop Joseph Mar Meelis Zaia used his brother David T. Zaia as his proxy. Months before the KSE scheme collapsed, David Zaia (aka Mar Meelis Joseph Zaia) suddenly decided he wanted to “cash up” the contract. David Zaia apparently enters into a contract for sale of the land in order to purchase a Pyrmont apartment for the sum value of $360,000. He apparently follows Karl Suleman’s advice when Suleman suggested to David Zaia (aka Mar Meelis Zaia) that the money be reinvested in a unit on 11 Bunn Street, Pyrmont (Sydney). 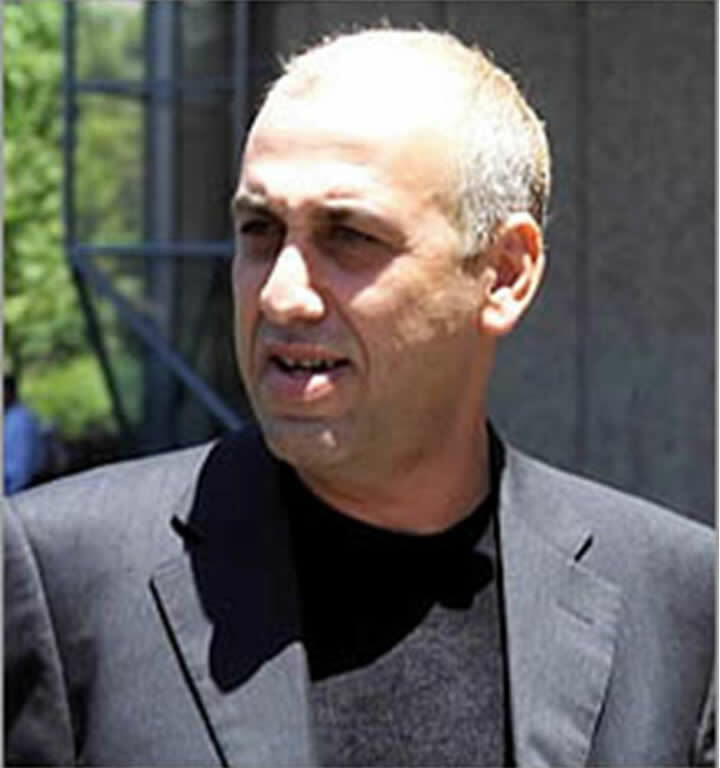 In court proceedings property developer, Mr. Waitsman gave evidence in relation to Jewish Property Developer Nati Stoliar regarding property developments and investment options apartments in located at “Bunn Street Apartments” 20 Bunn St, Pyrmont to Mr. Suleman, and to Bishop Zaia or his brother, David . The units were being developed by a Joint Venture between 2 companies: Metro Apartments and Kimberley Securities, of whom Nati Stoliar is a director of Kimberley Securities, a Jewish run joint-venture. Karl Suleman personally gave the money to Nati Stoliar for the purpose of David Zaia purchasing the unit. Bishop Zaia advised that David Zaia was still receiving payments after the sale of Unit 11 to him because the property had not been transferred. KSE liquidators have since placed a caveat on the property. The caveat has been placed on the property because money gained from the KSE scheme was used to purchase the property and the liquidator is seeking to recover these funds for the benefit of Assyrian creditors who were defrauded by the illegal scheme. According to Horwath, Karl Suleman’s former employer, Joe Prestia, continues to be Bishop Mar Meelis Zaia's advisor in relation to David Zaia’s transaction. In fact, Joe Prestia had been assisting Mar Meelis Zaia in refinancing and purchase deals for the Assyrian Church of the East and decided to assist Mar Meelis Zaia. Substantial donations of money had been made by Karl Suleman to the Assyrian Church of the East. The liquidator requested this from Bishop Mar Meelis Zaia, so that it could be repaid to the benefit of creditors. The Bishop however informed Horwath that the Assyrian Church of the East is not in a position to repay this amount because the church members are not making enough donations to the church. One cannot help but wonder why the church cannot afford to repay this money at a time when the church is expanding its property holdings and projects. Finally the last of Mar Meelis’s property transactions details another property owned by Mar Meelis Zaia also found in Pyrmont and shows where the proceeds of the scheme may have wound up. 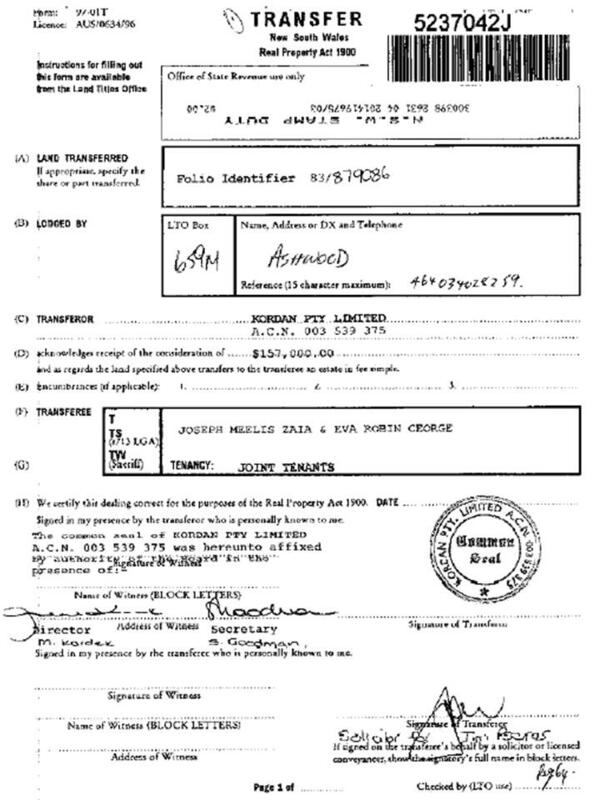 The attached title search shows that on 9 June, 2004 Mar Meelis Zaia purchased a penthouse apartment again in Pyrmont, Sydney for the amount of $720,000 . One cannot help but wonder why a Bishop, who has taken vows of poverty, needs such an opulent apartment, and how he can afford such a property when he is supposed to be on a “humble” allowance. While numerous victims were forced to either sell their one and only home, or to repay massive debts incurred as a result of the KSE Ponzi scheme, Mar Meelis Joseph Zaia has plans in the future to live in the lap of luxury in his $720,000 Pyrmont apartment, boasting magnificent seaside views. Mar Meelis’s vow of Poverty - the view from his $720,000 luxury apartment in Pyrmont, Sydney. The above mentioned facts and the evidence presented about Bishop Joseph Meelis Zaia clearly speak for themselves. As a Bishop, it is expected that Bishop Mar Meelis Zaia devote his life energies and efforts, just like a nun or monk, to the humble service of the Lord and members of the church. This is the Bishop’s sole purpose of existence and none other. The Patriarch of the Assyrian Church of the East, Mar Dinkha, has already been informed of his Bishop’s actions and has thus far preferred to ignore the issue hoping by some miracle that it will all be swept under the rug of fear of authority. Christ reminded his disciples: "...you shall know the truth, and the truth shall make you free." Whether the majority of the Assyrian Church of the East members in Australia and New Zealand and His Holiness Mar Dinkha IV willingly choose to defy this commandment and ignore the broken vows of Bishop Mar Meelis Joseph Zaia remains to be seen. The truth needs to be aired and justice served, for the 2,000 investors deserve to know the names of the main people responsible for the biggest swindle in modern Assyrian history. Australian Securities & Investments Commission, Historical Personal Extract for Joseph Meelis Zaia [click here]. Holy Apostolic Catholic Assyrian Church of the East Property Trust Bill [click here]. KSE Examinations, 5 September, 2002 [click here]. 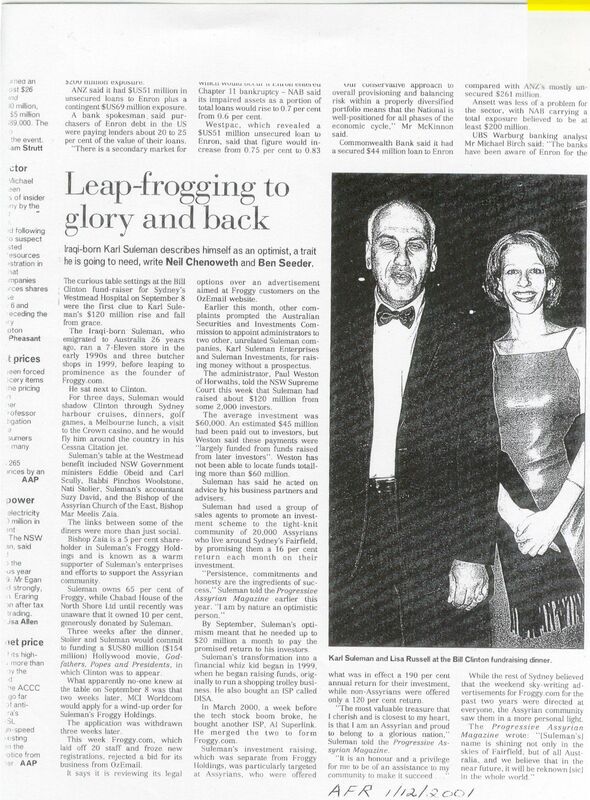 Leap-frogging to glory and back, Australian Financial Review – 1st December, 2001 [click here]. Shattered Dreams, The Daily Telegraph -5th January, 2002 [click here]. Froggy head’s scheme croaks, Today Tonight television broadcast, 5th December, 2001. Mar Meelis Zaia & Eva Robin George Title & Mortgage Agreement - 17 June, 1998 [click here]. Joseph Meelis Zai second Cecil Hills property title [click here]. Joseph Meelis Zaia title transfer to Eva Robin George [click here]. 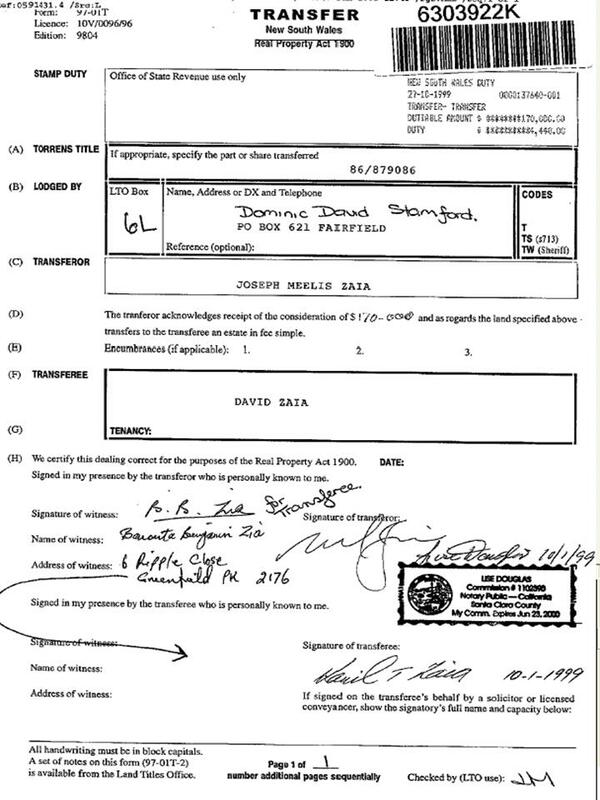 Property transfer from Bishop Mar Meelis Zaia to David Zaia (Page 2) - 29 October 1999 [click here]. 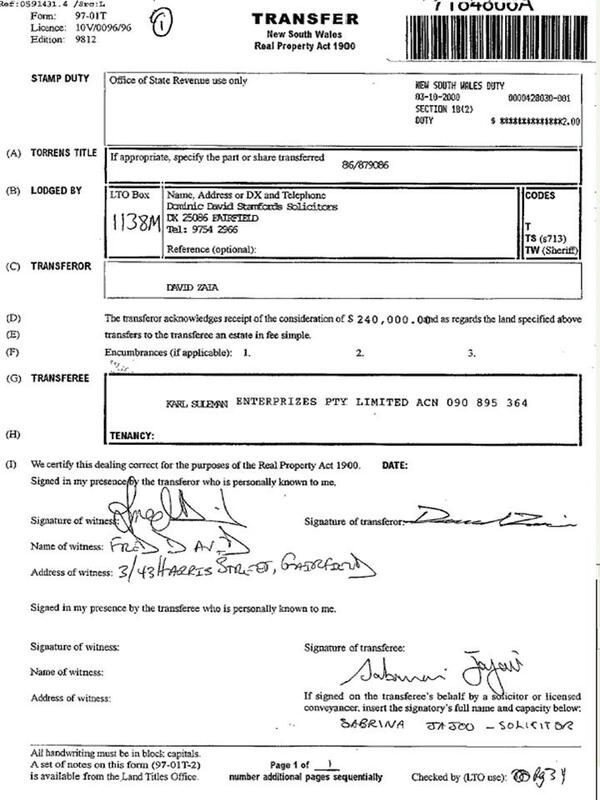 Property transfer from David Zaia to KSE (Page 3) - 30 October 2000 [click here]. Meeting between Bishop Zaia and Andrew Johnson (also in the presence of Sam Duggan from Coudert Brothers), which took place in July 2002, Horwath Pty. Ltd [click here]. KSE Examinations - 5th September, 2002 [click here]. 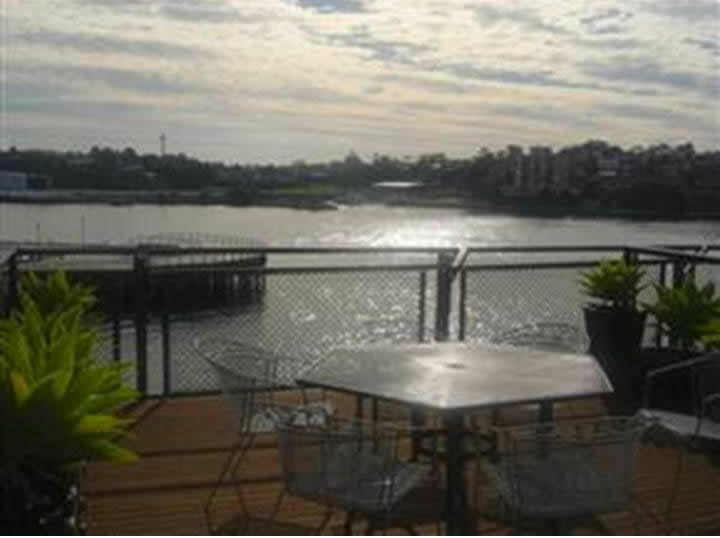 Title search on Bunn St, Pyrmont – Caveat by Horwath’s Paul Weston & Neil Cussen [click here]. 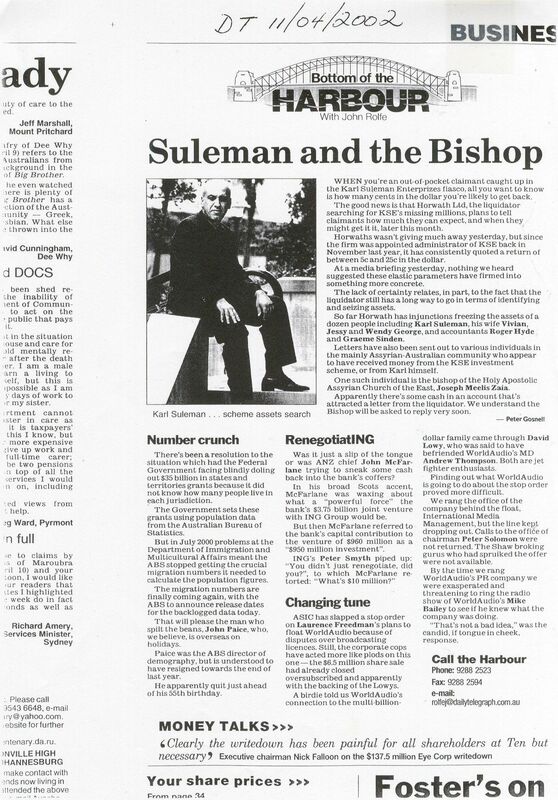 Suleman and the Bishop, The Daily Telegraph, – 11th April, 2002 [click here]. 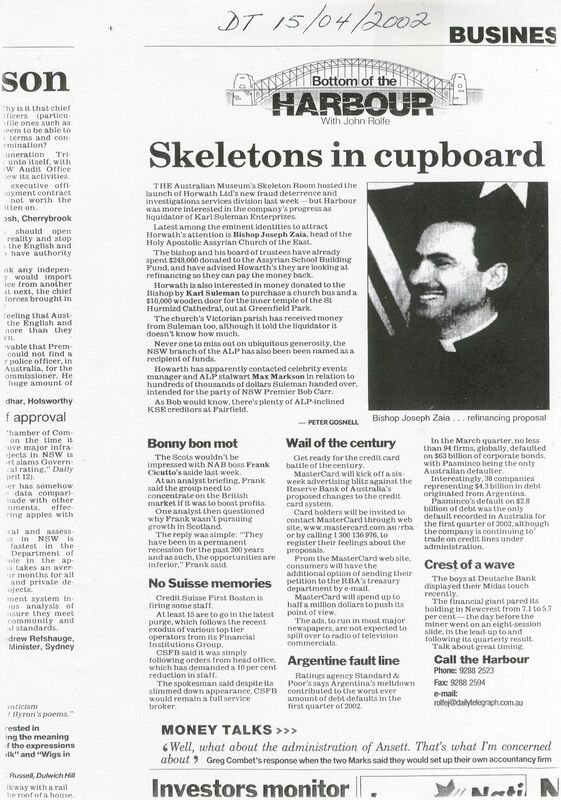 Skeletons in Cupboard, The Daily Telegraph, – 15th April, 2002 [click here]. 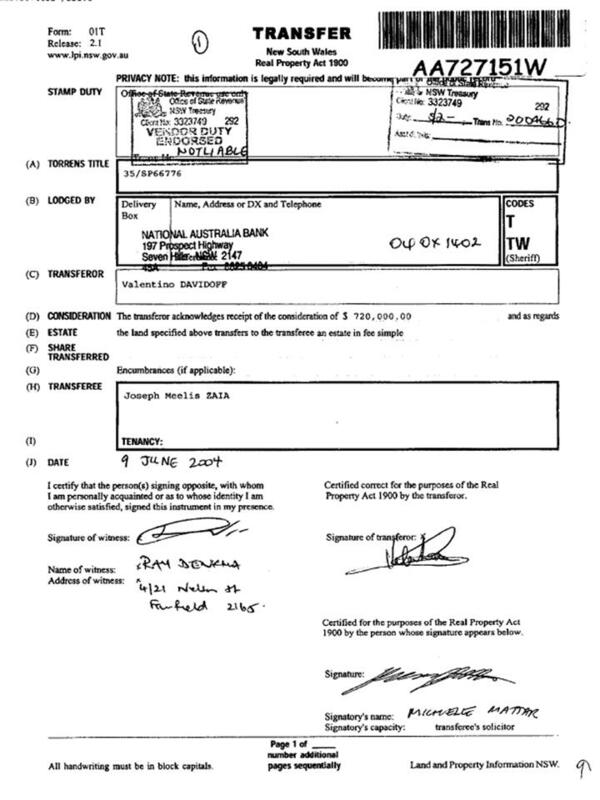 Title deed Joseph Zaia Pyrmont - 9th June, 2004 [click here]. Assyrian opposition to the Iraqi draft Constitution has solidified after statements of rejection by the Assyrian Democratic Movement (ADM) and the Assyrian General Conference (AGC). 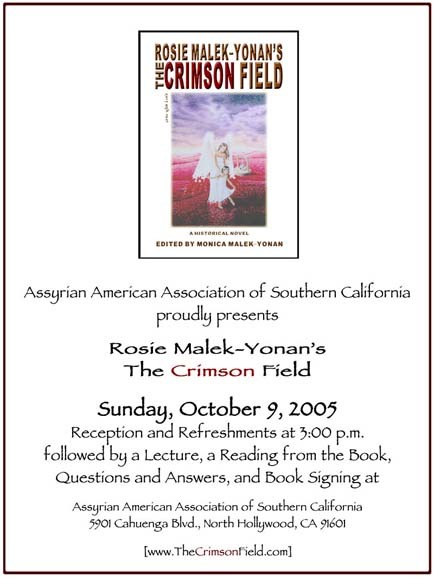 The statements in opposition to the Constitution follow an earlier rejection (AINA 9-16-2005) by the Assyrian Democratic Organization (ADO) as well as widespread grassroots demonstrations in opposition by Assyrian Christians (also known as Chaldeans and Syriacs) in the Nineveh Plain (AINA 8-24-2005). "The unjustified concealment of our Assyrian Babylonian civilization in the preamble. In addition, the preamble unjustifiably neglected to mention the oppression, mass murders especially in Simele and Sooriya, the destruction of hundreds of villages and tens of monasteries and churches by the past dictatorial regime against our people, especially when the preamble included similar examples committed against other components and fabrics of the Iraqi people." "Article 122 affected the unity of our people at its core when it divided our people into Chaldeans and Assyrians contrary to fact and history." The AGC statement (English, Arabic) noted that "the Constitution did not meet the Iraqi people's ambitions in general and the Assyrian people in particular." In apparent reference to the Kurdistan Democratic Party's (KDP) expansionist and secessionist ambitions, the AGC statement added "The Constitution came full of separatist intentions dealing with different Iraqi sects, according to the principle of numbers...not on basic principles and laws of a nation." Specific points of contention from the Assyrian perspective included "limiting to two the official languages of Iraq and ignoring the existence of other ancient and indigenous languages." Again in apparent reference to KDP tactics, the AGC statement criticized "race based ideologies and separatist views that threaten the integrity of Iraq." Referring to the Constitution's separate recognition of Assyrians and Chaldeans, the AGC decried the division "as two Nations...as opposed to one, ignoring the historical, social, geographical, and linguistic facts that emphasize our existence as one Nation." The draft Constitution marked a drastic shift from the earlier Transitional Administrative Law (TAL, English, Arabic) where all Assyrian Christians (including Chaldeans and Syriacs) were recognized collectively and singly as "ChaldoAssyrians." The departure from the unifying formula of the TAL is believed to have been a key demand of -- and subsequent gain by -- KDP warlord Masoud Barzani (AINA 3-28-2005, 9-16-2005). A major element in the KDP's policy towards Assyrian Christians has been their formal division into smaller, demographically less significant, rival communities. I have been awed by Assyrian art twice: The first occasion was while standing before a huge ancient stone relief depicting a war scene exhibited in the British Museum during my university years. The second was a collection of silver ornaments called ‘telkari' made by fine threads of silver. They looked like metal embroidery of the finest kind. Decades later I visited Mardin and Midyat to discover that long after the disappearance of the Assyrian Empire, the fine masonry they have left behind had lived on. Indeed, the heirs of one of the magnificent civilizations of Mesopotamia are the Assyrian citizens of Turkey. I include myself here too, the elite city folk of Turkey know very little about them, indeed, nor have they read anything in our history or citizenship books at school about them, either. I felt ashamed of my ignorance and I still feel that as an academic and an enlightened citizen of Turkey I owe a duty to demonstrate some awareness of the needs and expectations to this talented -- and one of the most peaceful -- groups of the republic. During each of my travels to the southeastern provinces of Turkey I witnessed the shrinking of the Assyrian population. Some villages have sought refuge in Europe as towns shed their Assyrian inhabitants by the thousands. Most of those who wanted to remain in the country moved to national metropolises, especially to Istanbul where their Christian creed was less visible and their craft (mostly gold and silversmiths) was rewarded. They were neglected by officialdom because they did not fit into the official identity of citizenship defined as “Turkish in ethnicity and Sunni Muslim in religion.” Although they possessed the two other components of the official identity that are “secular” and “obedient to the state,” their Christian creed set them apart from the mainstream body of “trusted citizens.” Left alone, they did not enjoy the protection of official bodies. Reckless Kurds inspired to lawlessness by the Kurdistan Workers' Party (PKK) usurped their property and deterred them from staying on by destroying their crops as well as issuing outright threats on their lives. I am a personal witness of this sad phenomenon: A powerful and prominent Kurdish figure in the Mardin area known for his righteousness is trusted with the trusteeship of the property of many Assyrians. The title deeds of dozens of expensive properties is transferred over to this man in return for his word that upon the death of their legal owners they will be handed over to their scions/heirs. What a pity for the citizens of a country who has to take refuge in the honesty of a few selected individuals rather than being protected by the institutions and officials to whom their bear allegiance. However, lately it was very refreshing to hear and see that some of the Assyrians were coming back after decades of asylum in Western countries, at least to die in their own land or to spend a few peaceful years after the violence subsided. After all, this is their country. However, some have faced severe difficulties in recovering their property from loyal Kurdish village guards who had been instrumental in neutralizing the PKK in certain trouble spots. Some found it hard to obtain permission to build new residences to a much higher standard than the locals liked. Nevertheless, like rare and shy birds, they came back and brought gaiety to the gloomy Southeast, which had been a war zone for decades. Now that terrorism has been artificially resumed by the PKK to disrupt the peace and stability of the region and the country as a whole, Assyrians may shy away once again, thus leaving the region to militancy and the rule of force. In the face of this danger they are appealing to every receptive heart and every listening ear for protection and the respect they most definitely deserve. “The Turkmen alone cannot survive against the aggressive Kurdish oppression. Turkmen politicians are in danger of their lives and they are being kidnapped. Kurdish militias and peshmergas oppress and threaten Turkmen businesses. “The Assyrians are under even more aggressive political conditions than the Turkmens. There is the Nineveh Plain region with about 300,000 Assyrians, Shabaks, Yezidis and Turkmen. These people categorically refuse to be ‘Kurdified.' This region is huge but the Kurds are trying very hard to incorporate it in a future 'Kurdistan or northern Iraq. It's still not under their administration and control officially. That is also why the Kurdistan Democratic Party (KDP) prevented ballot boxes reaching this region during the previous elections!" “What the Kurds are doing in this region is a great crime. KDP offices are being built in even in the smallest villages; clerics are being bribed; civilians are being killed and alternative political parties of other peoples are being oppressed in a very aggressive way." “Turkey must support the Assyrians who do not want to be divided into Chaldean, Syriac and Assyrian, as is written in the present Constitution. They wish to be referred to as ChaldoAssyrian, as it was in the Transitional Administrative Law (TAL) representing all. “If Turkey only supports the Turkmen but refuses to support the Assyrians, Shabaks and Yezidis in northern Iraq, then a future Kurdistan in northern Iraq and Southeast Turkey will be a fact; even if the PKK is neutralized by Turkey, the United States and the European Union.” [ADO-World & CPA TAL]"
I have not added a word to this analysis and cry for help. Anyone with some sense and conscience should heed the words above if they really want peace and stability based on equality and justice in a region that could be the fuse of the next world war, not fought with nuclear weapons but with hatred and a militant ideology that is no less dangerous and devastating. (ZNDA: Baghdad) The baby-blue metal gate stays closed most of the time. The world outside is a vastly different place. The gate separates the bustling streets of Keradah, one of Baghdad's livelier neighborhoods, from the oasis of St. Hannah Church and Orphanage, where large balconies overlook a lush green lawn and a flower garden of roses and lilies. Inside the small, simple Chaldean Catholic church, wooden pews offer serenity to anyone who wants to come in and say a prayer. Beyond the gate lies a menacing city, where streets can turn treacherous in an instant, forever changing lives. A car bomb killed two Iraqi Army soldiers in Keradah just last week. The neighborhood, with one of Baghdad's busiest shopping districts, has been targeted by insurgents. Sister Pauline Hannah Jummah walks to the gate with great trepidation. "Every day, I get bad news," she said. She opened the gate once to a man who looked into her eyes and said: "I've lost everything." A suicide car bomber in Mosul had killed his wife and two daughters. He left Jummah his surviving two daughters, Atra, 13, and Shamiran, 6. He did not have the means to take care of them. Jummah accepted the two girls and closed the gate behind her. Recently, she heard that familiar, desperate knock again. The rattle of sheet metal travels well through the garden. It was another man who lost his wife in a bombing incident. He wanted to leave his 3-year-old child. "I looked at the baby and told the father, "She's like the moon but I can't take her in," Jummah said. Her words went against everything her devotion to God was telling her to do. "I can't take in such a small baby. We don't have the facilities here." Jummah's face is only now starting to show the wear of her 75 years. Until recently, she had been healthy and vigorous. Now, the doctors have told her she has cancer. She knows her time is starting to run out. She fears she will die with her beloved homeland in turmoil. The gentle woman runs this sanctuary in the middle of Baghdad, a throwback for many older Baghdadis who fondly recall their own lives being as peaceful as it is here inside the blue gate. Here, Jummah houses unwanted children, some whose parents have been felled by bullets and bombs; others who were simply abandoned by men and women who could no longer cope in the war-weary Iraq that lies outside the gate. "God gave freedom to his people, but the people became bad," she said. "This is the worst I have seen my Iraq. Innocent people are paying with blood." Under Saddam Hussein, she said, Iraqis perished but the culture of violence did not seep into every crevice of society. "The violence now is so random. Not like before when it was politically targeted," she said. "I have never seen anyone cut off someone's head. Now they show it on videos." The war, the insurgency, Jummah said, has scarred the nation forever. "I saw a video of a suicide bomber blow himself up," she said, a tear welling in her eye. "Before he died, he yelled, 'Allahu Akbar!' [God is great] Which God is he talking about? The right to kill people is not religion." Jummah sat quietly in the entrance to the main building of the church compound. The speckled terrazzo floors cooled the room; there would be no electricity again for another three hours. Surrounded by images of Christ and the Virgin Mary, Jummah spends her days quietly in prayer and taking care of a handful of Baghdad's abandoned children. A warm breeze swirled through the sanctuary. The quietness of midafternoon descended on Jummah's world. And then, the silence was shattered yet again by that familiar rat-a-tat on the gate. Jummah rose from her chair slowly, ambling toward the blue gate one more time, not knowing who would be waiting on the other side. 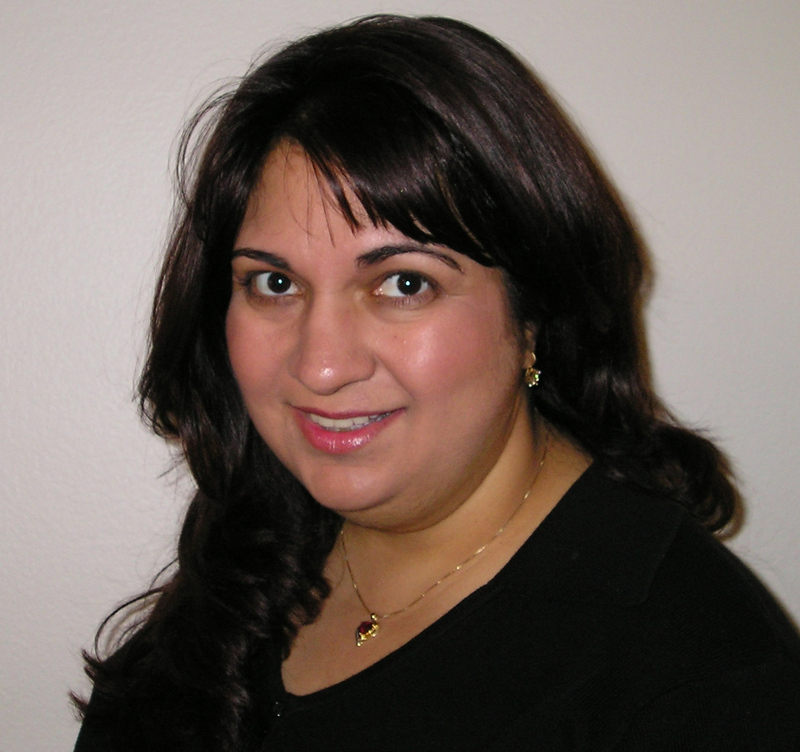 Moni Basu writes for The Atlanta Journal-Constitution. "The genocide that Armenians, Assyrians, Syriacs, Chaldéans and Pontic Greeks were exposed to has for long time beeing viewed as a Turkish-Armenian affair. Turkey belong to the European fellowship and has in several respects fulfilled the requirements for membership in EU. In short time from now negotiations are planned about when the membership should begin. Turkey must take their responsibility and make the truth known about the genocide on Armenians and others, and aknowldedge the suffering of the victims. EU should bring considerable pressure to Turkey in order for them to aknowledge the genocide on Armenians, Assyrians, Syriacs, Chaldéans and Pontic Greeks. Turkey and other countries should open their archives and in other ways promote research about this dark side of the region's history. Strong lobby is also required to make sure that Turkey respect the Kurdish and the Christian people's rights." Folkpartiet is one the third biggest party according to the latest election in 2002. They are expected to form the government with the non-Socialist parties after next year's general elections. In Folkpartiet there are several politicians that work with Assyrian related issues such as the EU-parliamenterian Cecilia Malmstrom, Cecilia Wikström and Fredrik Malm; the president of the Liberal Youth Federation. Translated from Swedish by Ninos Maraha. If we can be of help in any way, please just ask. An attack on you is an attack on us all. You have the full support of the readership. We all are proud of you and thank you so very much for keeping us posted of your excellent and interesting news. God Bless you all. Please don't give up!!! We love your magazine. It is unbelievable that any caring Assyrian would want to undermine a fine source of information about our people such as the Zinda Magazine. Bold and objective! These two strong charactors are the signature and commitment of Zinda and its crew. That's why we love your Magazine! and Naman Adlun, the President of the Assyro-Chaldean Association of France are honored to convey the inauguration of erecting a Memorial Pedestal in honor of the victims of the Assyro-Chaldean Genocide of 1915 perpetrated under the reign of the Ottoman Empire. at the Stadium of Nelson Mandela, Paul Langevin Street in Sarcelles. This ceremony shall be followed with an open air friendship parade at Champs de Foire, Refuzniks Road, Paris. Special thanks to Mr. Ivan Kakovitch for English translation. British historian, Ara Sarafian (Gomidas Institute, London), was one of the main speakers at a recent commemoration of the Assyrian Genocide (or Seyfo) of 1915. The event was at Aula Magna, Stockholm University on 24 September and was organised by the Assyrian Youth Federation in Sweden, who asked Sarafian to give a lecture on the 1916 British Parliamentary report, The Treatment of Armenian in the Ottoman Empire 1915-16. One of the central questions in Sarafian’s paper dealt with the relative absence of the destruction of Assyrian Christians in the British report. Was it an oversight or was the report prejudiced? This question arose in more forceful terms at the conference, when a member of the audience suggested that there was a 200 page Assyrian section to the blue book which was stolen by Armenians and was never published as a consequence. Sarafian pointed out that the British blue book covered the Assyrian issue within the context of what happened in North-West Persia, but it missed the core of the Assyrian experience because there were no key communicants and witnesses in the key Assyrian populated areas of Mardin-Midiyat in Ottoman Turkey. Elsewhere, the destruction of Assyrians was subsumed in descriptions of the destruction of the much more numerous Armenian communities. This lack of information about Assyrians was mainly because the accounts informing the British about events in the Ottoman Empire were communicated by United States consuls and missionaries. Since there were no United States consulates near the main Assyrian regions of the Ottoman Empire, there were no ready channels of open to the outside world. Furthermore, the few American missionaries in Mardin and Diyarbekir who might also have reported on the destruction of Assyrians were expelled from these regions in the Spring of 1915. Consequently, there was little information available about the destruction of Assyrian communities to the British in 1916, except from North-Western Persia, where American missionaries bore witness to the carnage that took place. Sarafian related some accounts of the destruction of Assyrians he had read, such as the memoirs of Raphael de Nogales describing what he saw in Siirt, or the private letters of Dr. Floyd Smith in Diyarbekir describing Assyrian victims of a massacre at Karabash he treated in Diyarbekir in May 1915. Sarafian pointed out that since 1915 there has been a lot of information about the Assyrian issue, but mainstream Armenian historians have generally ignored the destruction of Assyrians due to poor scholarship, chauvinism, or both. Consequently, many Armenians today remain ignorant of the destruction of Assyrian Christians in Ottoman Turkey in 1915. This is clearly wrong and should be changed with education he argued. However, it should be added that not all Armenian historians have avoided the destruction of Assyrian Christians in Ottoman Turkey. Only three years ago, the French Armenian Revue d’histoire arménienne contemporaine published a special issue, “Mardin 1915: Anatomie pathologique d’une destruction”. Special thanks to Mr. Nineb Lamassu. If the referendum on Iraq's draft constitution next month is conducted fairly, it now appears very likely that the document will be defeated by a two-thirds majority in the three Sunni-dominated provinces of Anbar, Salahadeen, and Nineveh, plunging Iraq into a new political crisis. However, one way such a defeat could be averted is by massive vote fraud in the key province of Nineveh. According to an account provided by the U.S. liaison with the local election commission, supported by physical evidence collected by the Independent Electoral Commission of Iraq (IECI), Kurdish officials in Nineveh province tried to carry out just such a ballot-stuffing scheme in last January's election. The Sunni Arab majority of about 1.7 million in Nineveh – including Sunni insurgent organizations – appears to be united behind a "no" vote on the constitution. Kurds number only about 200,000 and non-Kurdish, non-Arab minorities another 500-600,000. The non-Arab, non-Kurdish minorities – Assyrian Christians, Shabaks, Yezidis, and Turkmen – which hold the balance in the province, are overwhelmingly opposed to the constitution. In the January election, the Kurds dealt with the problem of being a relatively small minority in the province by stuffing the ballot boxes, as recounted by Maj. Anthony Cruz, an Army reserve civil affairs officer assigned to work with the province electoral commission. The 1st Brigade, 25th Infantry Division ("Stryker Brigade") was responsible for getting ballot boxes and ballots to polling places on the Nineveh plain in January's election. But it relied on battle-hardened Kurdish peshmerga militiamen to maintain security in the towns and villages, and did not know its way around the area well enough to deliver ballot boxes there with Kurdish help, according to Cruz. So the Brigade agreed to send a U.S. convoy with the voting materials to meet a Kurdish delegation in the Kurdish town of Faida on the border of Kurdistan 50 miles north of Mosul, so that the convoy could be guided to the largely Christian and Shabak towns on the Plain of Nineveh. When the convoy arrived in Faida the day before the election, however, the promised Kurdish guides never came. Instead, says Cruz, the Kurdish mayor of the town came demanding the ballots for what he called Kurdish towns on the list. The convoy commander wanted to take all the ballots back, because the mission had been aborted. A tense standoff followed, and the convoy commander called Cruz for a decision on what to do with the ballots. He advised the commander to give the mayor enough ballots for four towns, and the convoy returned to Mosul. On election day, Cruz recalls, the U.S. military tried to find helicopters to carry the ballot materials out to the six remaining district towns on the list, but was were able get ballots to only one town, Bashiqa, which is almost entirely Christian, Shabak, and Yezidi, before the 5:00 p.m. close of voting. But according to Cruz, Kurdish militiamen stole the ballots boxes from the polling place, returning them later after obviously tampering with them and offering bribes to the election workers to accept them. Meanwhile a much more ambitious vote fraud scheme was unfolding in Sinjar, a relatively small district town in the west known to be a predominantly Sunni Arab area. Around 12,000 ballots had been sent to Sinjar, but on election day KDP officials in Sinjar requested a number of ballots far in excess of the estimated electorate in the town and surrounding villages, according to Cruz. He recalls that the request was supported by the office of the interim president of Iraq, Sunni Arab Ghazi al-Yawar. Cruz remembers joking about the "500 percent voter participation rate" in Sinjar. Nevertheless, the Stryker Brigade Combat Team complied with the request for the ballots. Later, the province Independent Electoral Commission of Iraq (IECI) forwarded 38 ballot boxes, 174 plastic sacks and 14 cardboard cartons of ballots that had obviously been tampered with to the national IECI. In some boxes, reams of ballot papers that had not even been folded were visible. In others, boxes had been resealed with red and green duct tape. When Cruz asked the local IECI director how many of the fraudulent ballots had come from Sinjar, he was told, "All of them." The average number of ballots per ballot box nationwide was 500, and if each of the 236 boxes and bags of votes from Sinjar had that many ballots, those bags would have contained about 115,000 ballots. The total number of legitimate votes in Nineveh was only 190,000. The Kurds apparently wanted to bolster their claims on Sinjar and much of the Plain of Nineveh. They also were apparently trying to ensure that non-Kurdish minorities would not have enough votes to gain representation in the interim National Assembly or in the province council. It did succeed in reducing the vote for the national Assyrian Christian list to exactly 3,346, despite an electorate approaching 100,000. The Iraqi Turkmen Front list garnered only 1,342 votes, despite an electorate that was many times larger. Judging from the large disparity between the 77,000 legitimate votes for the Kurdish list for the national assembly and the 110,000 legitimate votes for the Kurdish list for province council, the Kurds deliberately shifted a substantial number of votes to al-Yawar in return for his role in getting the additional ballots need for the vote-stuffing exercise. Al-Yawar was threatened with a minimal vote in the province because of the Sunni boycott. Although it displayed the boxes and bags of fraudulent ballots, the national IECI downplayed the seriousness of the ballot-stuffing in Nineveh and covered up the Kurdish role in it. In his press briefing on Feb. 8, IECI spokesman Farid Ayar blamed the ballot fraud on unidentified "militiamen or armed men." According to Maj. Cruz, however, the only such incident in the province was in Bashiqa. Ayar refused to divulge which party would have profited from the fraudulent ballots, telling the journalists, "I can't accuse any party, because we don't know." The KDP obviously miscalculated in thinking that electoral officials in Nineveh could be bribed to turn a blind eye to such crude ballot stuffing. But no damage was done by the failed attempt. The IECI helped by diverting press attention from the Kurds, and U.S. news media never dug into the story behind the mountain of fraudulent ballots exhibited by the commission. In the constitutional referendum, the Shiite government will share the Kurdish interest in doing whatever is necessary to avert the defeat of the constitution in Nineveh. Meanwhile, the U.S. military remains heavily dependent on Kurds in Nineveh. The KDP may well believe that a more sophisticated Kurdish ballot-stuffing scheme will work on Oct. 15. 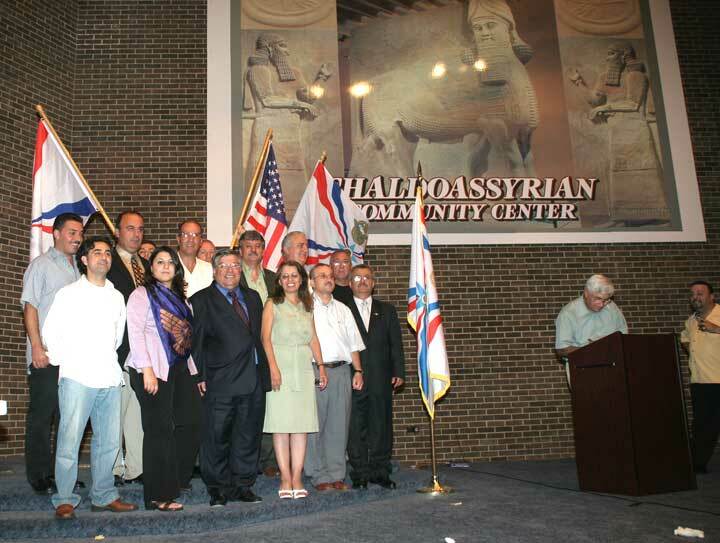 On Sunday, August 28, 2005, hundreds upon hundreds Assyrians from Chicago found their way to designated polling places in order to participate in the new elections of the Assyrian National Council of Illinois. The Hammurabi Law Firm and an election committee headed by Mr. Robert DeKelaita, Chairman of the Election Committee, monitored the elections. The committee hired several judges from the alderman's office to ensure a fair election. Three polling centers were set up in Chicago and its suburbs in an effort to make it convenient for as many voters to participate in the elections. The polling stations were located at the Assyrian National Council of Illinois (ANCI) facility in Chicago, the ANCI Chaldo-Assyrian Community Center in Skokie, and the Central Library in Schaumburg. The newly elected members of the Assyrian National Council of Illinois. On September 23, 2005, I met with the re-elected President of ANCI, Mr. Sheba Mando, and asked him the following questions. Was there anything different or significance about this year's ANCI elections? Mando: Yes, indeed. Two groups emerged during the campaign. The first group (Unity Slate) hired Mr. Younadam Youkhanna as its campaign manager and was supported by the Assyrian Democratic Movement (ZOWAA). This group headed by Mr. Mando supported the efforts to reunite our one nation and people with their various designations: Assyrians, Chaldeans, and Suryanis. The second group (Reform Slate) was unofficially supported by the Church of the East. Each of the two groups entered the elections with an attempt to control the crucial positions of the Presidency and Vice-Presidency. We understand that a problem or controversy took place during the elections, could you shed some lights on this issue. a) The polling boxes be kept with the judges and brought back the next day. b) The polling boxes to remain in-house and have two security personnel from each of the two competing groups in addition to two policemen from the city of Skokie to remain with the boxes overnight. We agreed with both suggestions. The Reform Slate under the leadership of Malko Odisho agreed to sign the sealed boxes and have the judges keep the boxes with them and bring them the next day to conclude the process. We went along. Malko signed the first sealed box on both sides in a normal fashion; however, he signed the second box differently. When asked to use the same signature for the second box as that of the first box, he stated that the signature for the second box was simply in Assyrian language. To avoid any problems that may arise the following day, a judge asked the TV crew which was videotaping the event to tape the two different signatures. At this junction, 702 votes out of the total 1921 were tallied, according to the judges. Many began to predict that the Unity Slate was in the process of winning the elections. The next morning Malko claimed that the second box did not indicate his signature. The judges here asked him to view the videotape they shot on Sunday regarding the signatures. What are some of ANCI plans for the next four years? an Assyrian museum, computer classes for adults, Assyrian language classes, daily services for our people in the government offices, and an elderly Assyrian day-care. Finally, we continue to work hard to bring unity into our various communities through ANCI (MOTWA), and assist our people back home. 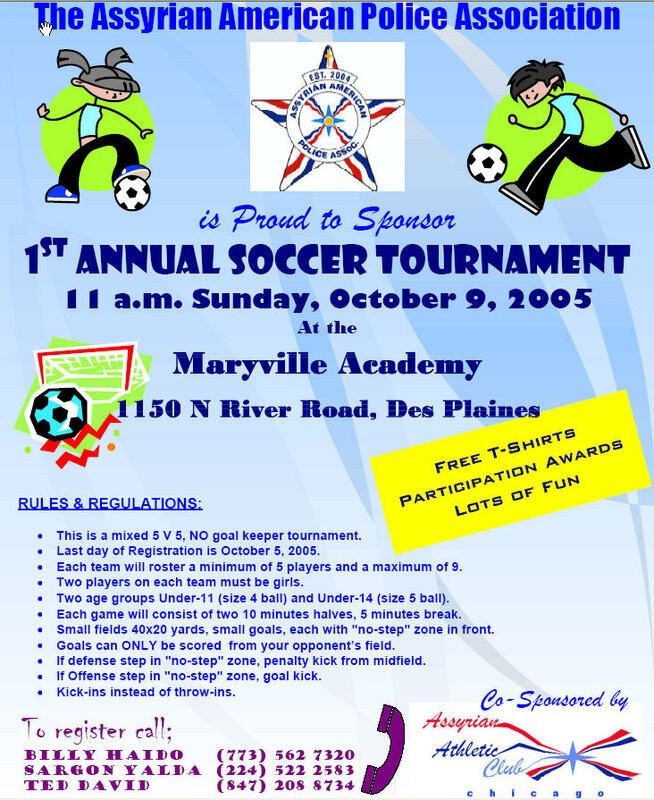 How much has ANCI donated so far to Assyrian causes? $100,000 donated to Assyrian schooling related projects and scholarships around the world. $30,000 donated to schools run by Church of the East – Old and New Calendars in Syria. $25,000 donated to Mar Giwargis Church and its school in Beirut, Lebanon. $50,000 donated to various projects by the Assyrian Aid Society in North of Iraq. $20,000 donated to needy Assyrians around the world and on individual basis. Thank you Mr. Mando. I wish you and the new members best of luck and all the success.